The Epiphone Slash 'AFD' Les Paul Special II Guitar and Amp Pack is perfect for the ultimate Slash fan, a fantastic guitar pack for beginners and experts alike. 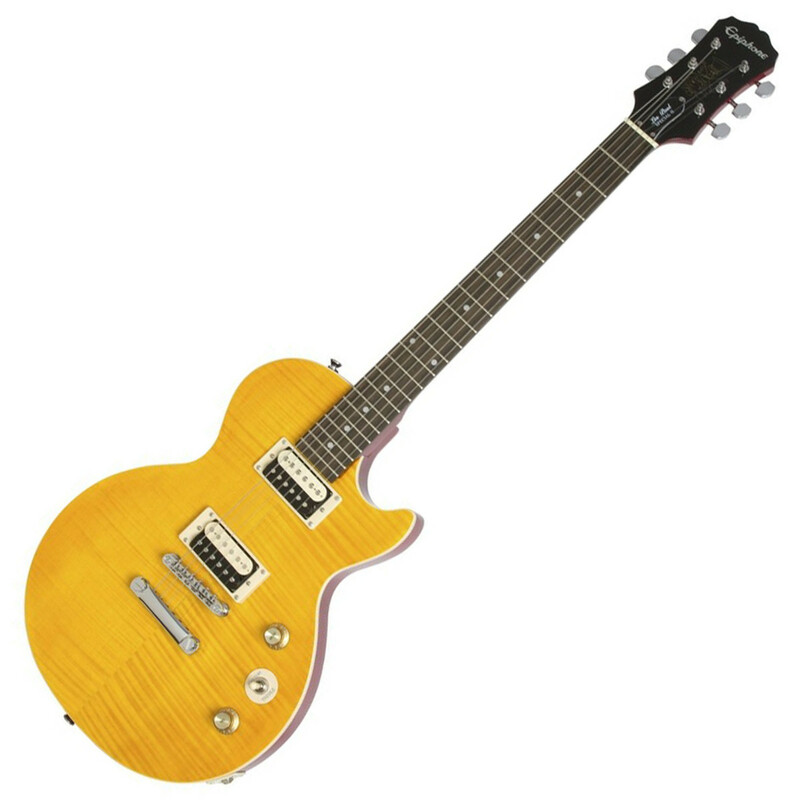 Designed with Slash himself, the AFD (Appetite For Destruction) Les Paul Special-II features a Flame Maple top with an Apetite Amber finish, inspired by Slash's own custom Les Paul. The Rock and Roll Hall of Fame legend and former Guns N' Roses guitarist has now made it possible for all guitar players to own Appetite For Destruction with this amazingly affordable guitar pack! The Epiphone Slash 'AFD' Les Paul Special II Guitar and Amp Pack is an all-inclusive, all-pro package for players of all abilities. You can't get much more rock and roll than Slash, who helped design the brand new 'AFD' Les Paul Special-II himself. 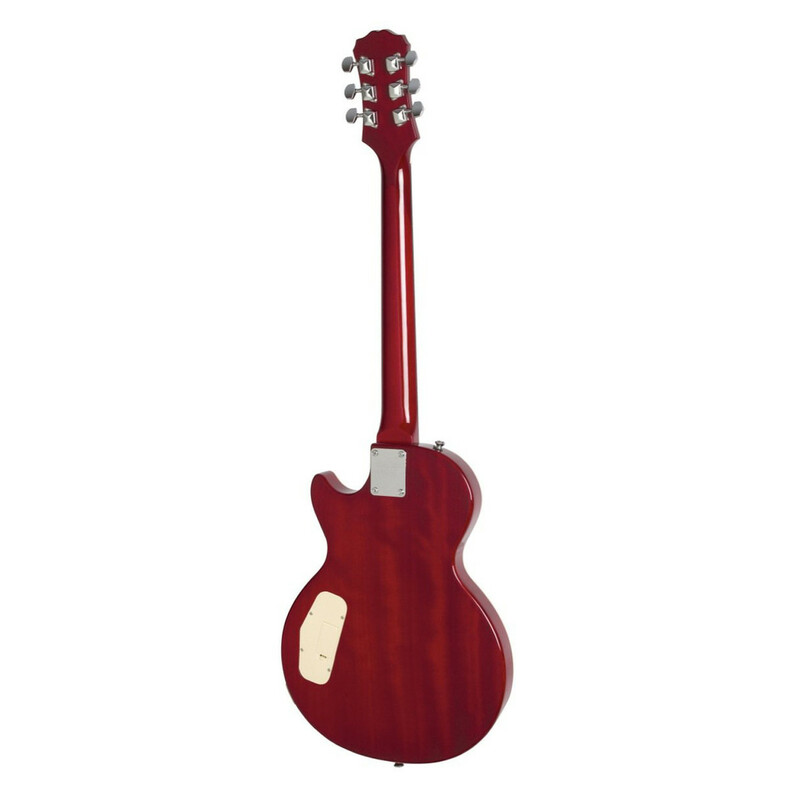 The stylish guitar is designed to look like Slash's iconic Les Paul, with an Appetite Amber finish Flame Maple top and a beautiful dark Cherry coloured Mahogany back and neck. The 22-fret Rosewood fingerboard has dot acrylic inlays and the headstock features Slash's 'Snakepit' logo in gold silk print along with the iconic Epiphone script logo in silver. Epiphone have also added their new Ceramic Plus Zebra Coil humbucker pickups modelled after the famous (and ultra rare) zebra (black and white) pickups found on late 50's Les Paul Standards, giving this Apetite For Destruction guitar its unique roar. The Slash 'AFD' Les Paul Special-II comes with a Shadow E-Tuner built into the bridge pickup mounting ring, which other vintage guitars do not have. The humbuckers are powered by Volume, Tone, and Toggle controls with Gold TopHat knobs with metal inserts. The 14:1 ratio die-cast machine tuners allow for easy, spot on tuning. Also featuring Epiphone's premium all-metal hardware including a legendary Tune-o-Matic bridge and Stopbar tailpiece and strap buttons. The 'AFD' Performance Pack also includes the new "Slash-approved" Snakepit-15 amp - a small, low-watt amplifier that gives players a focused and razor sharp tone. 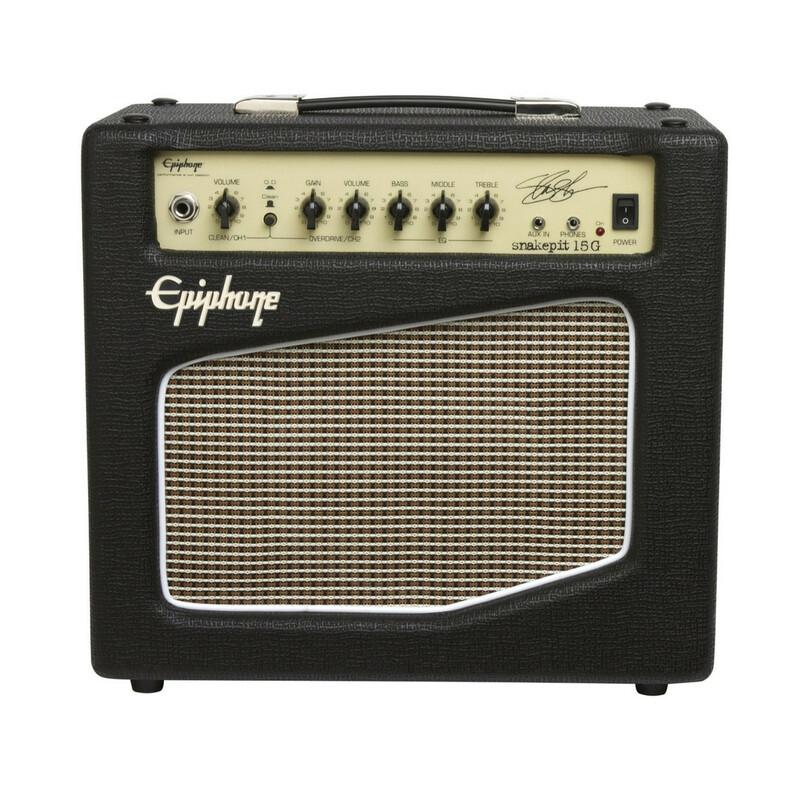 Featuring an 8" Electar G8 Classic-25 4-ohmspeaker in an open-back cabinet, the Snakepit-15 Amp has two uniquely voiced channels and a full EQ section featuring controls for Treble, Middle, and Bass, delivering terrific mid-range crunch and clean chimey tones. The Slash 'AFD' Les Paul Special-II comes with a premium black gigbag with Slash's 'Snakepit' logo in white, a guitar strap, 3 x Dunlop Tortex Slash signature picks in three colours (white, black and purple), an Epiphone 1/4" standard guitar cable, and for new players, free online lessons from eMedia. 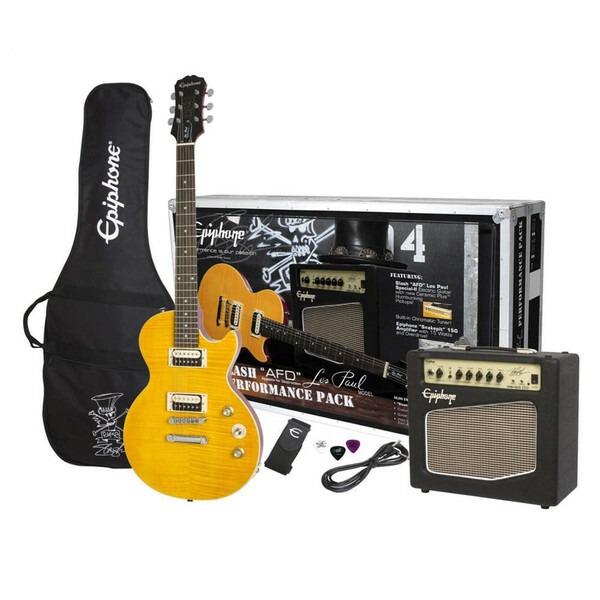 Now everyone can embrace their own Apetite For Destruction with this fantastically affordable package from Epiphone and Slash himself.